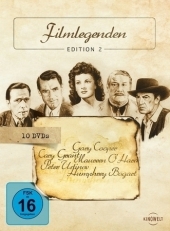 Visual material | 2011 | DVD-Video | DVD | Klassiker | Generation plusSeries: Filmlegenden Edition 2 - Internationale Stars.Availability: Items available for loan: SB Hennef [Call number: DVD] (1). by Astor, Mary [Darst.] | Bogart, Humphrey [Darst.] | Hammett, Dashiell [Koautor] | Huston, John [Koautor]. Visual material | 2000 | Spielfilm | DVD-Video | DVD | MagazinAvailability: Items available for loan: SB Hennef [Call number: DVD Magazin] (1).